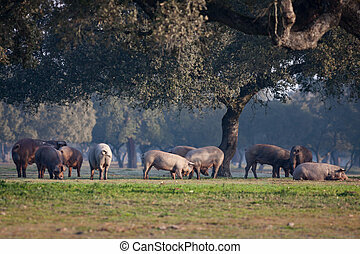 Cerdo iberico iberian pork in dehesa spain. 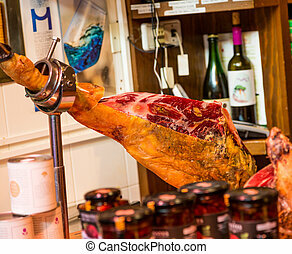 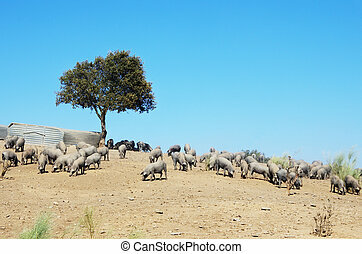 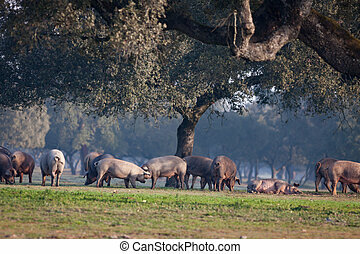 Cerdo iberico iberian pork in dehesa grasslands of spain. 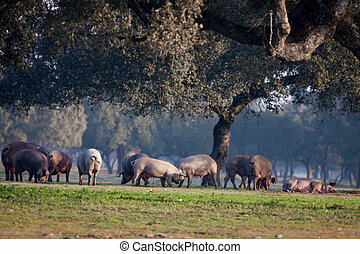 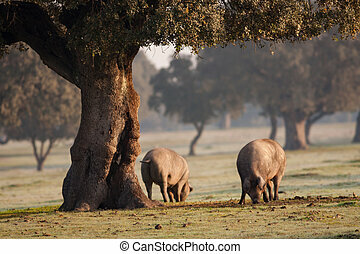 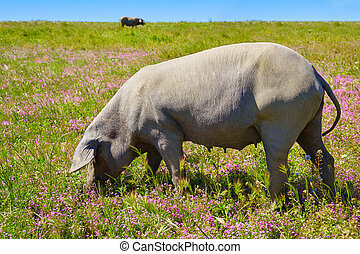 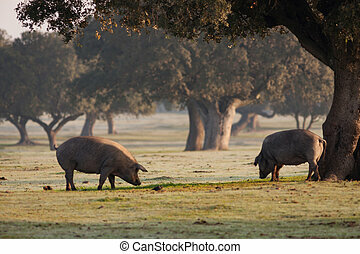 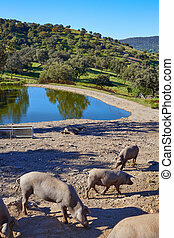 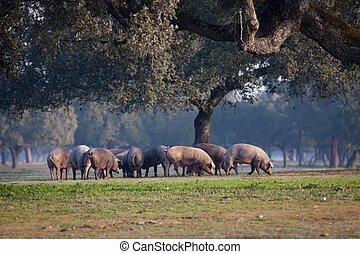 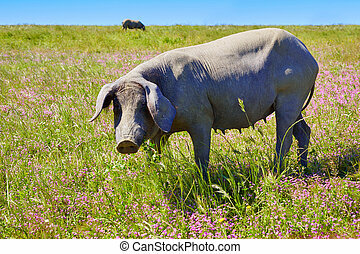 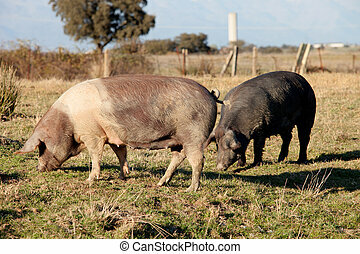 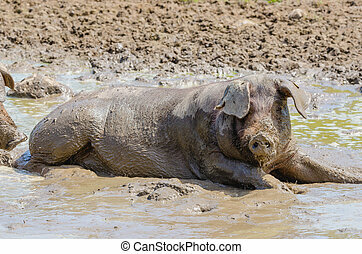 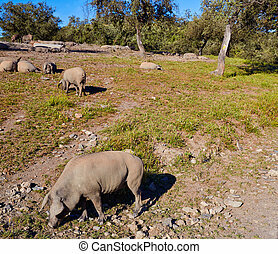 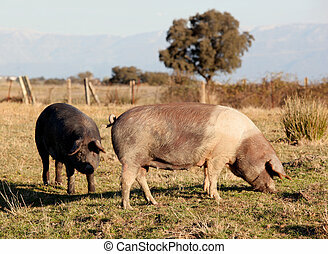 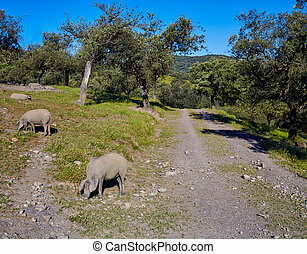 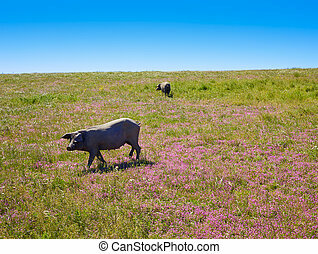 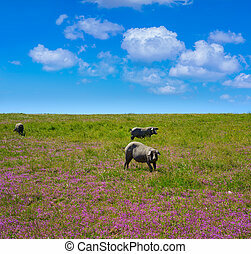 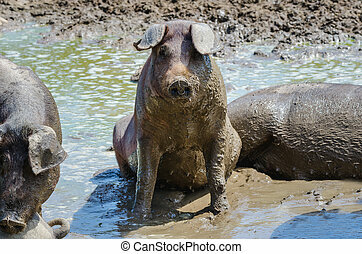 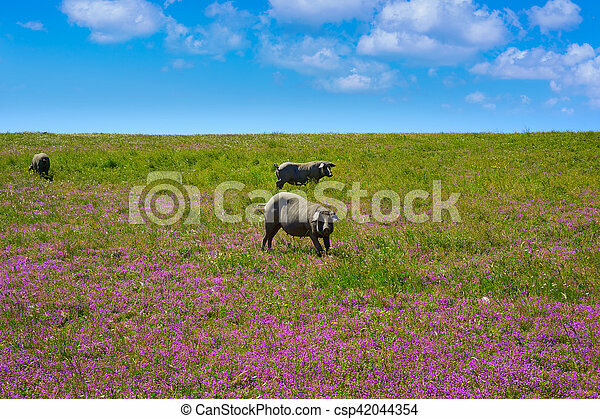 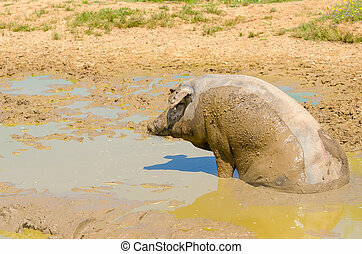 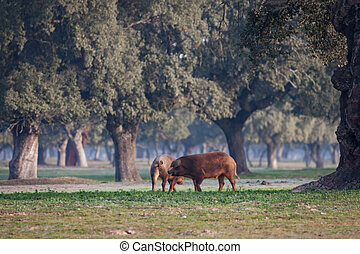 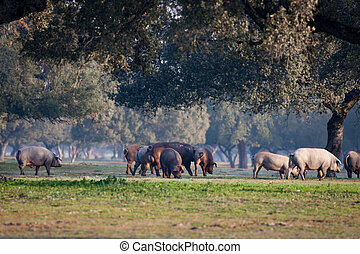 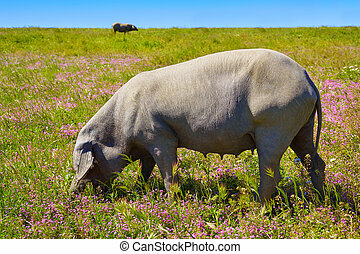 Iberian pig in the field of Extremadura, Spain.